Any new and hugely improved operating system will undoubtedly come with new features and sought after functionality; Windows 10 is no different. Microsoft’s latest attempt at clawing back desktop and mobile users isn’t just based on aesthetics and clever marketing techniques, it genuinely contains some fantastic, new powerful features. One of those new features is called Wi-Fi Sense and it aims to abstract any headache regarding Wi-Fi passwords away from the user. One less thing to care about, right? Well for some, yes, but it seems that others have a privacy issue with it and would like to disable it. Wi-Fi Sense is essentially there to manage connectivity between Wi-Fi networks on your behalf, well as much as it possibly can. The software will automatically sign the device into unsecured, open Wi-Fi networks where possible as well as private networks any individual’s Skype, Outlook.com, or Facebook contacts have accessed. Pretty creepy really. The functionality is enabled by default in Windows 10 meaning that we all have to essentially “opt out” if it doesn’t sit right with us. Step 1: Open the Start Menu and launch Settings. Step 2: From within Settings select Network & Internet, then Wi-Fi, and finally select the Manage Wi-Fi settings option. Step 3: You essentially want to approach Wi-Fi settings with extreme negativity and disable all of the options available. 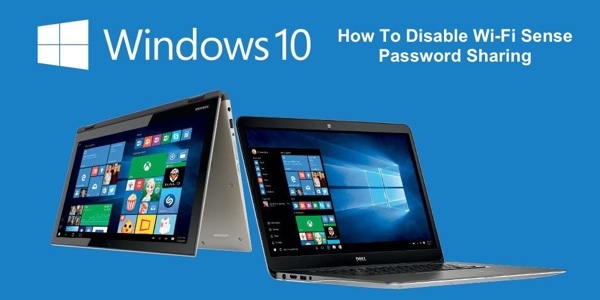 You should also tell Windows to disregard any Wi-Fi networks that have been signed into in the past if you want the ultimate security from this. That’s simple enough and certainly gets the job done. 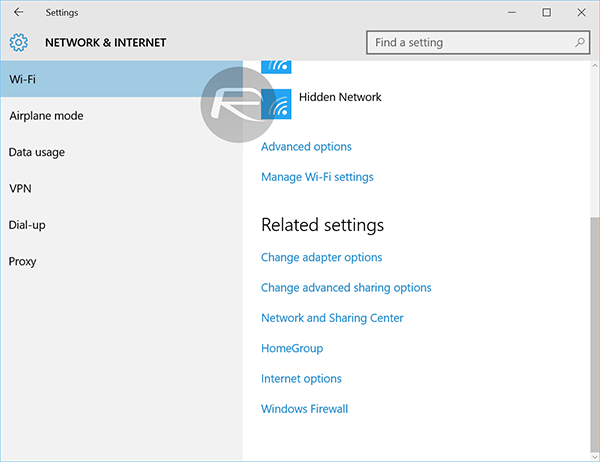 But what if you want to go a step further and actually remove Wi-Fi Sense’s legs altogether, and prevent anyone with Windows 10 who connects to your network from sharing details of your Wi-Fi network with their own contacts? Starting to need a little thought now to keep up? Unfortunately Microsoft hasn’t had the foresight to include a simple toggle for that. Instead, users will need to actually jump two feet into their own router settings to amend the SSID of the Wi-Fi network with a special postfix. For this, you’ll need to access your own router settings and postfix the network with with “_optout”. So, as an example, if we had a Wi-Fi network broadcasting as “RP-WiFi” then Wi-Fi Sense would see that as fair game. However, if we changed that to “RP-WiFi_optout” the software would totally ignore it. Simple, right? 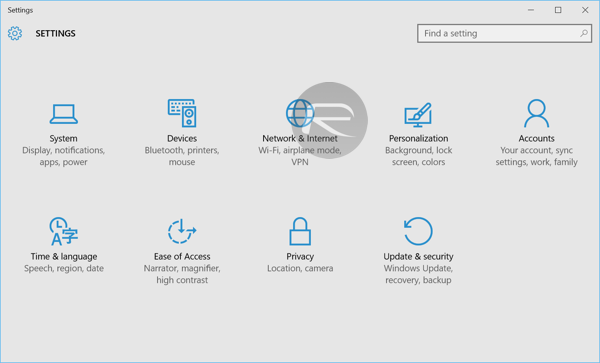 Not exactly the most flawless functionality that Microsoft has integrated into Windows 10, but Wi-Fi Sense is still extremely handy for those who don’t have the privacy concerns. Wi-Fi sense only shares your info with your friends. Your pass info is not passed on after that. I get that if you don’t broadcast the SSID it will also opt you out from Wi-Fi sense shenanigans. Please stop spreading this wildly inaccurate story about WiFi Sense. I already left a lengthy comment on the Gizmodo article where it originated from. This is seriously getting ridiculous now. Nothing is shared by default. NOTHING. There is zero reason to freak out about this. Wi-Fi Sense shares nothing, and doesn’t allow anyone to access your network by default. You have to turn it on for the specific network you would LIKE to share; by default all networks are disabled in Wi-Fi Sense. Get it right before you post this crap. 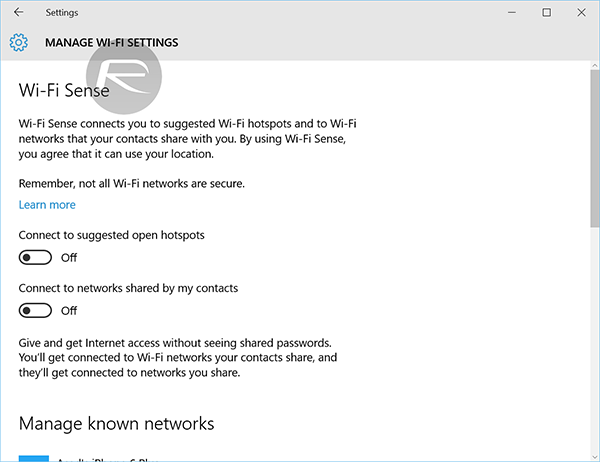 Wi-Fi Sense is ON by default, and even if it is not shared, Microsoft harvest all network passwords (probably keeping them in plain text too). You are right. It is on by default, but all network connections are configured OFF by default within Wi-Fi Sense. Get your facts straight. Suffix Paul, suffix. Postfix is a mail transfer agent.